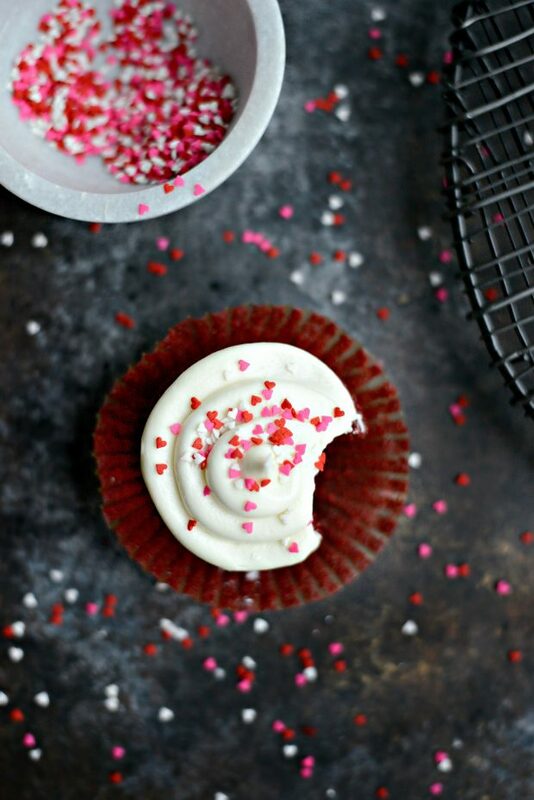 Nothing says Valentine’s Day like red velvet cupcakes topped with swirled with white chocolate cream cheese frosting. Especially with teeny-tiny heart sprinkles. Since I posted that recipe, I’ve been asked quite a few times if the cake recipe can be made into cupcakes. I’ve always been pretty positive that they could, but never tried it to find out for sure. Until now. The only small changes I made, and believe me they are minor, is two swap a half cup of the oil for unsweetened applesauce. And increase the vanilla by 1/4 teaspoon. Like I said, minor. 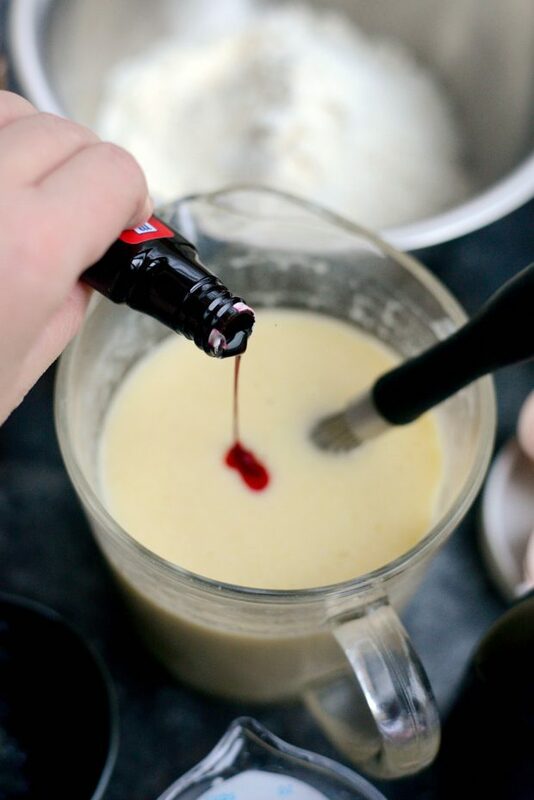 To start, in a large liquid measuring cup lightly whisk the eggs and add in the 1 cup buttermilk and oil, 1/2 cup applesauce, 1 tablespoon vinegar and 1-1/2 teaspoon vanilla extract. 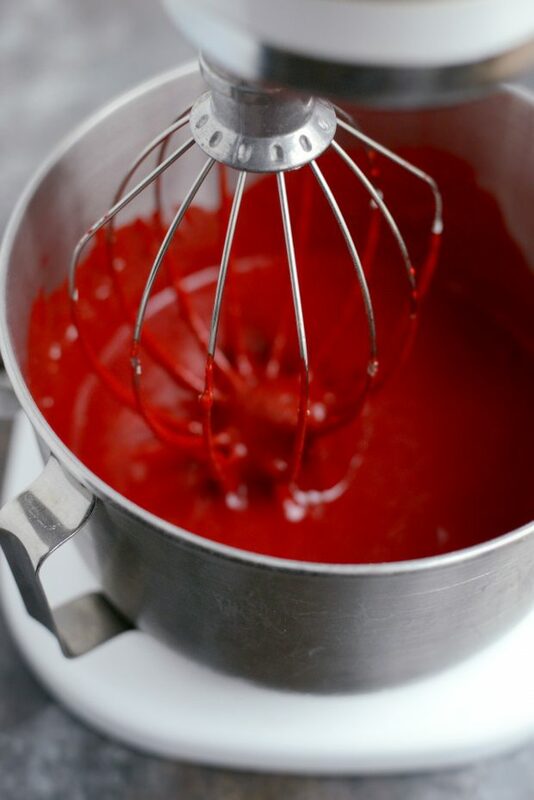 Whisk to combine before pouring in 2 ounces of red food coloring. Slowly whisk to combine and set aside. 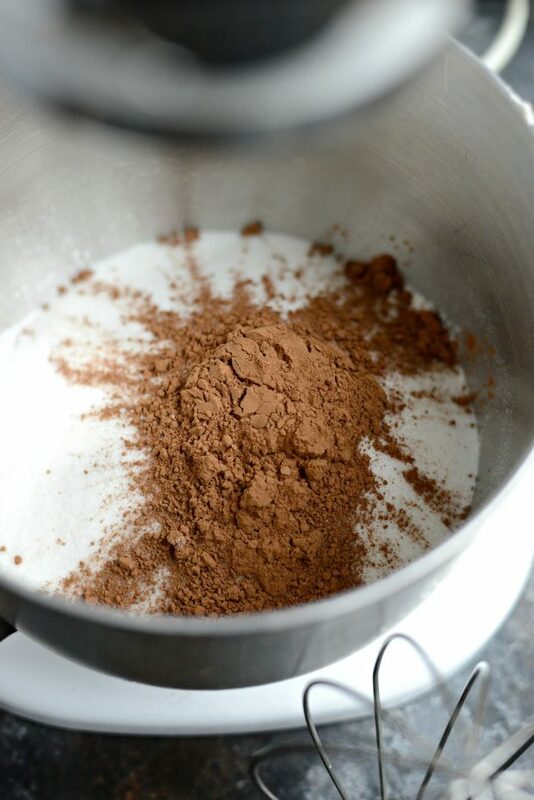 In the bowl of your stand mixer add in the 2-1/2 cups of all purpose flour, 2 cups of sugar, 1-1/2 rounded tablespoons unsweetened cocoa powder and 1 teaspoon of both baking powder and kosher salt. 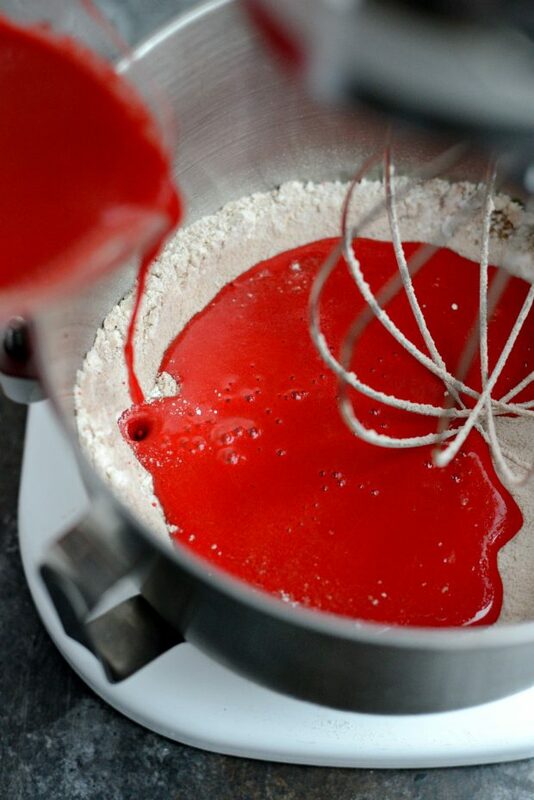 Using the whisk attachment, mix until blended. …and mix until just combined. Then line two muffin pans with liners. Next fill each liner 2/3 of the way full with 3 tablespoons of the batter per liner. 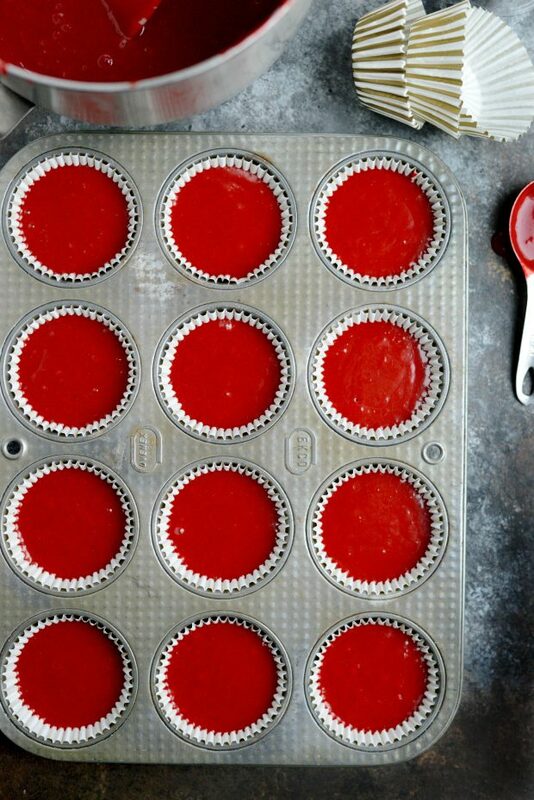 Bake each batch in your preheated 350° oven for 15-17 minutes or until the tops bounce back when pressed gently. I bake them separately because my oven is small and extremely old and I worry about uneven baking. In. Love. Isn’t the color ridiculously gorgeous?! 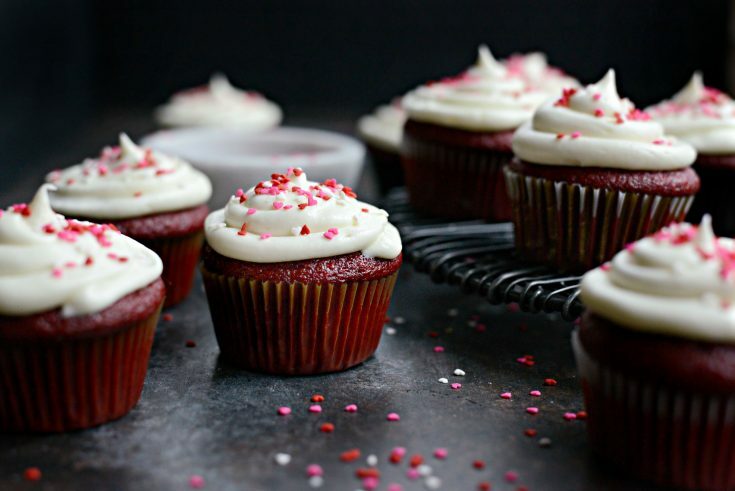 Allow the cupcakes to cool for a few minutes before transferring to a wire rack to cool. 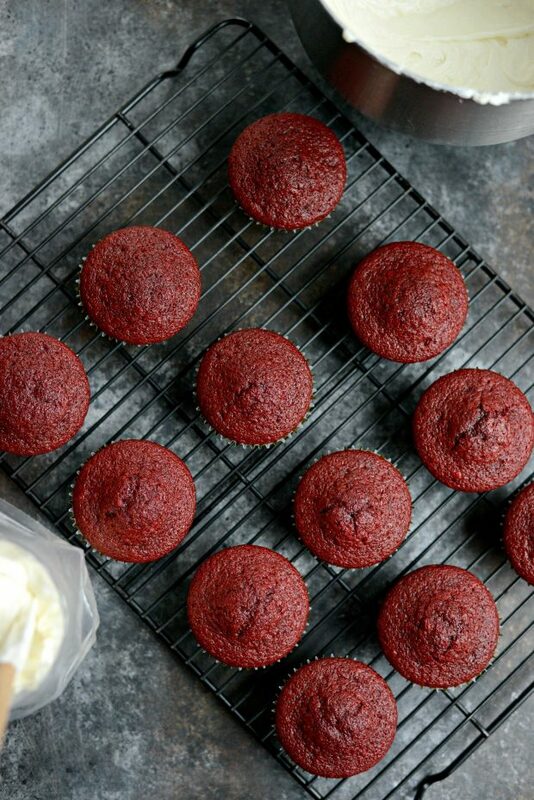 While the red velvet cupcakes cool, make the frosting. 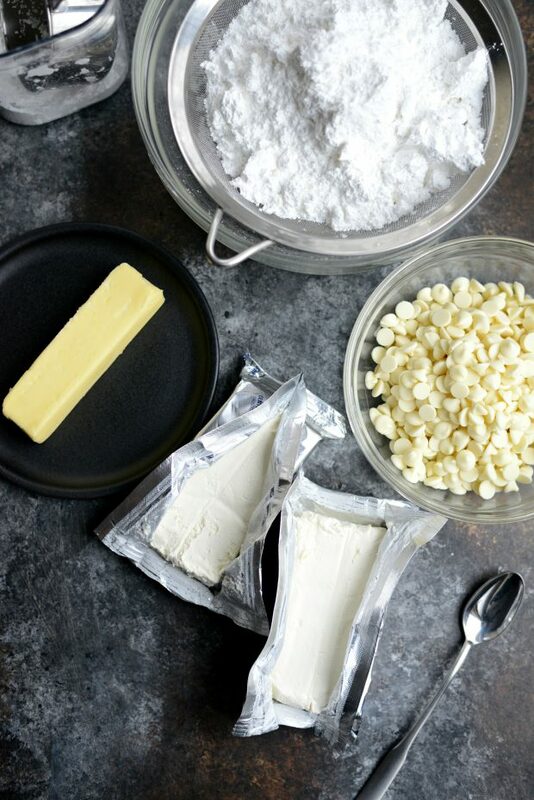 You’ll need 2 (8 ounce) packages of cream cheese, 1 stick unsalted butter, 2 cups of white chocolate chips (1 package) and 6 to 7 cups of sifted powdered sugar. Add the white chocolate chips to a microwave save bowl and heat at 10 second intervals, stirring after each one until melted and smooth. Then whip the butter and cream cheese until smooth. Then slowly pour in the white chocolate. 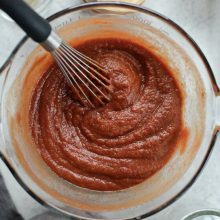 If by chance the chocolate hardens and the frosting becomes lumpy, you can transfer the frosting to a microwave safe bowl and heat slowly, using the 10 second intervals– like before– whisking after each one until smooth. Gradually add in the powdered sugar until the frosting is thick. About 6 to 7 cups. 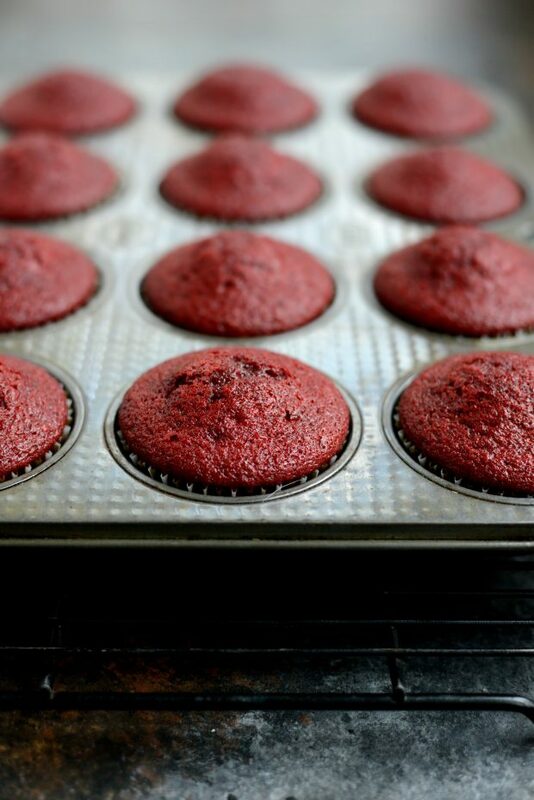 Once the cupcakes have cooled completely, it’s time to frost. 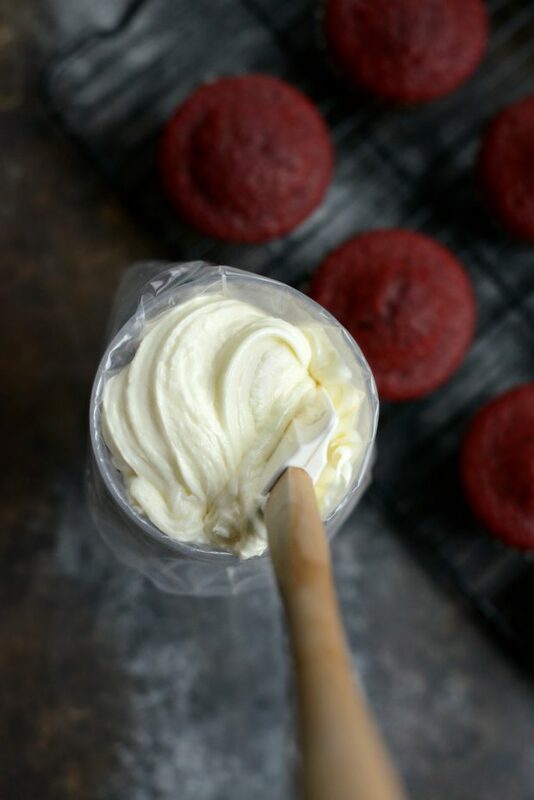 Fill a piping bag with some of the white chocolate cream cheese frosting. And pipe over the top of each red velvet cupcake. The frosting is pretty fantastical! 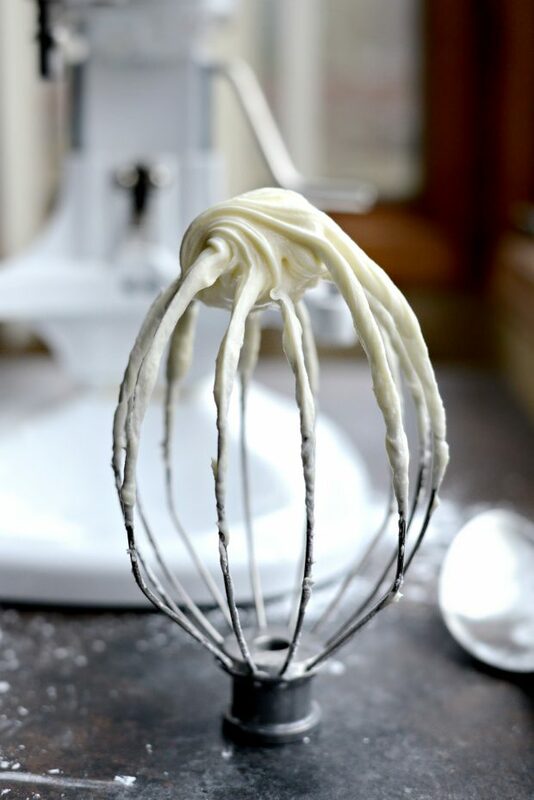 But if you’re a purist and want to stick with a traditional cream cheese, then here is my original Cream Cheese Frosting recipe. 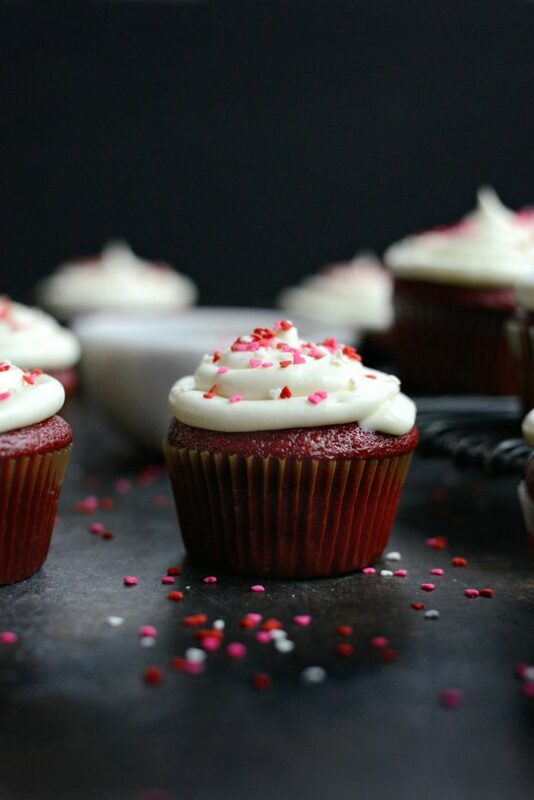 These red velvet cupcakes are my absolute FAVORITE! It was pure agony having them hanging around and not eat them one after another. 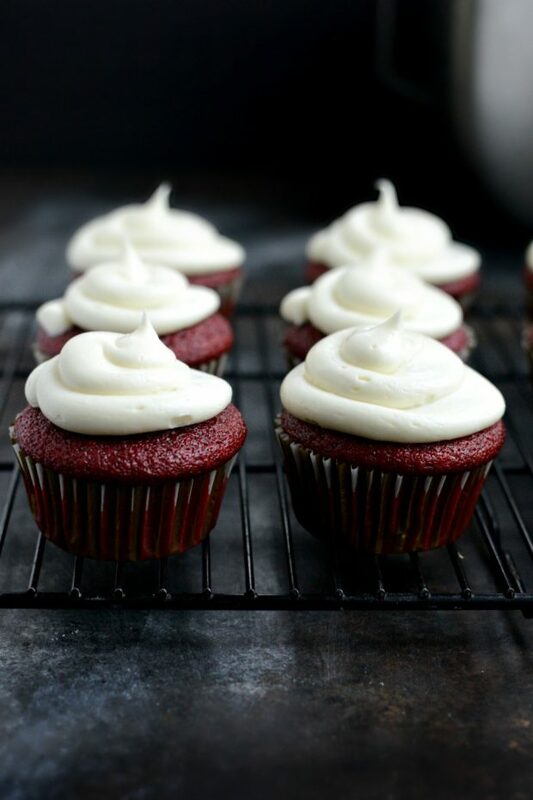 When it comes to red velvet anything, I have zero will power. Zero. So I packed up half and sent the girls to school with them to give to their friends. The end result with 12 and 16-year-olds? Thumbs up all around. Enjoy! 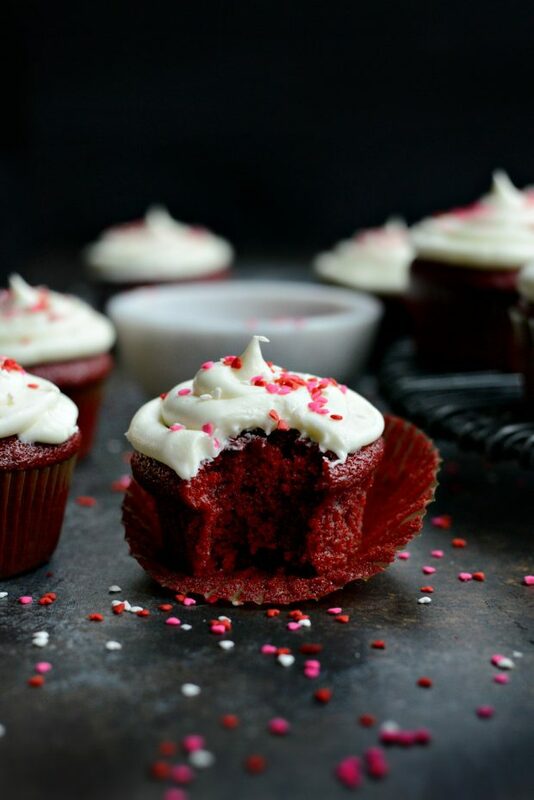 And if you give this Red Velvet Cupcakes recipe a try, let me know! Snap a photo and tag me on twitter or instagram! 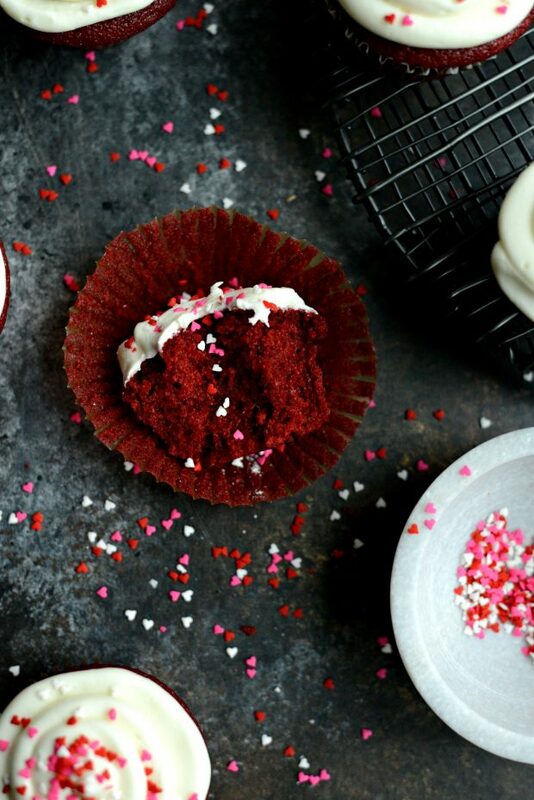 Nothing says LOVE like red velvet cupcakes, white chocolate cream cheese frosting and heart sprinkles. 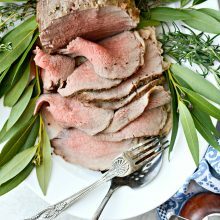 Not only beautiful but extremely moist and delicious! 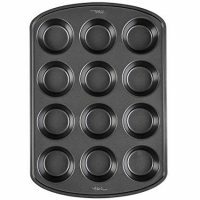 Preheat your oven to 350° and line two muffin pans with liners. 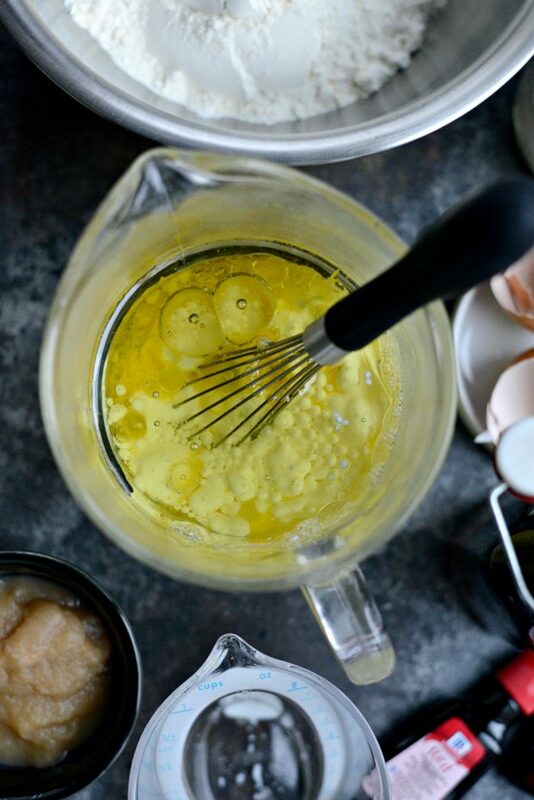 In a large liquid measuring cup add the eggs and whisk gently. 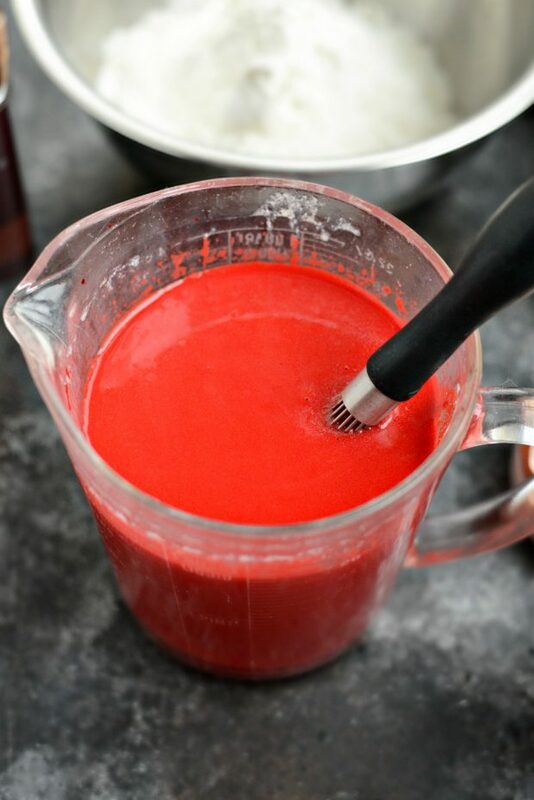 Then add in the buttermilk grapeseed oil, applesauce, vinegar, vanilla and food coloring. Whisk to combine. 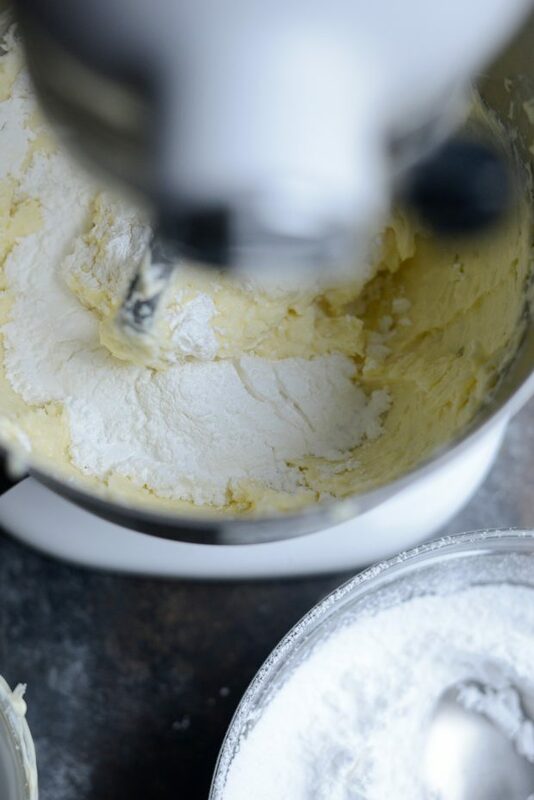 In the bowl of your stand mixer, fitted with the whisk attachment, add the flour, sugar, cocoa powder, salt and baking soda. Stir to combine. With the mixer on low, slowly add the liquid ingredients. 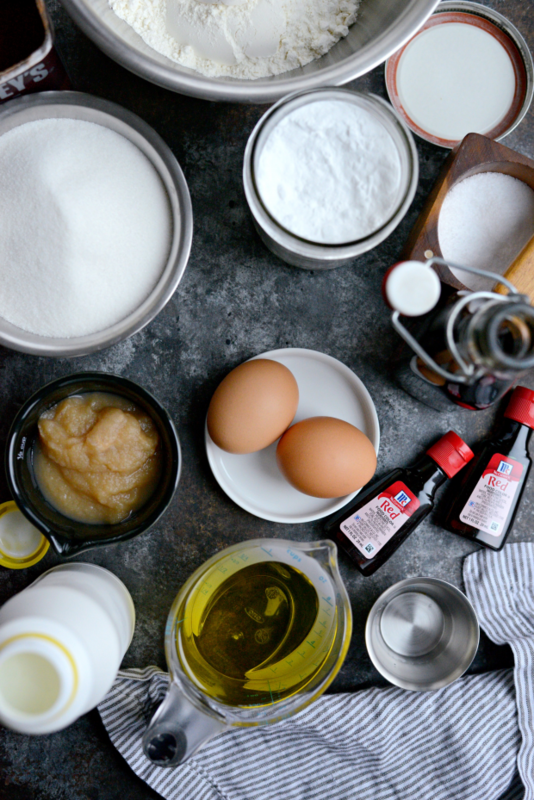 Stop scrape down the sides and mix just until the dry is incorporated with the wet. 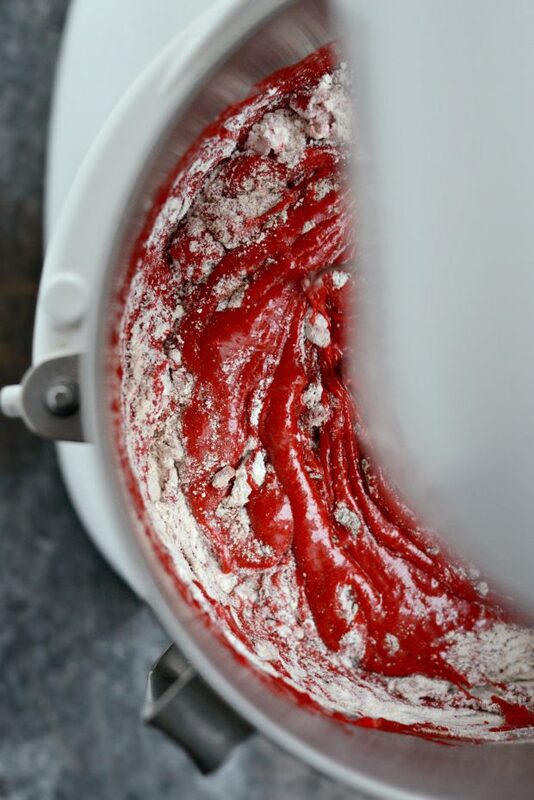 Measure 3 tablespoons of the batter into each liner, filling them up 2/3 of the way. 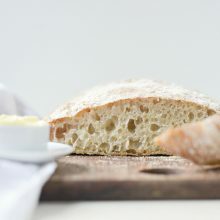 Bake for 15-17 minutes or until the tops bounce back when gently pressed. 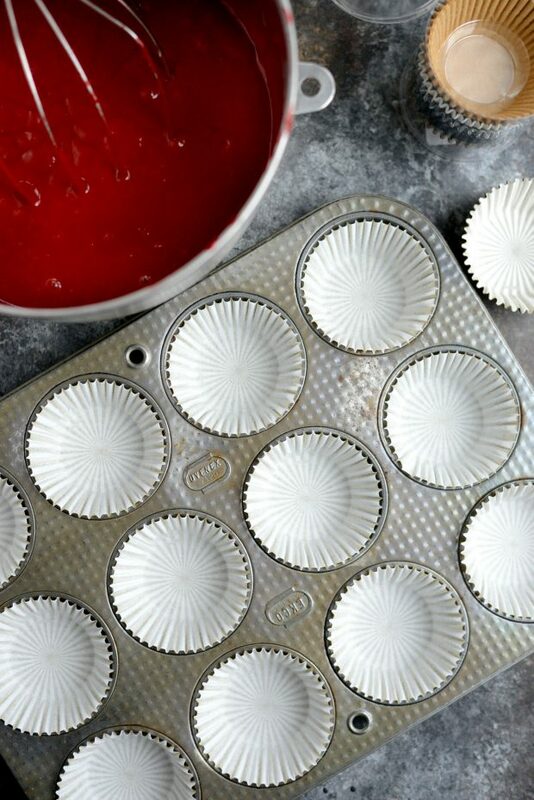 Allow the cupcakes to cool in the pan for a few minutes before transferring to a wire rack to cool completely before frosting. Add the white chocolate chips to a microwave save bowl and heat at 10 second intervals, stirring after each one until melted and smooth. If the chocolate is hot, set off to the side to cool until just warm and easily pour-able. 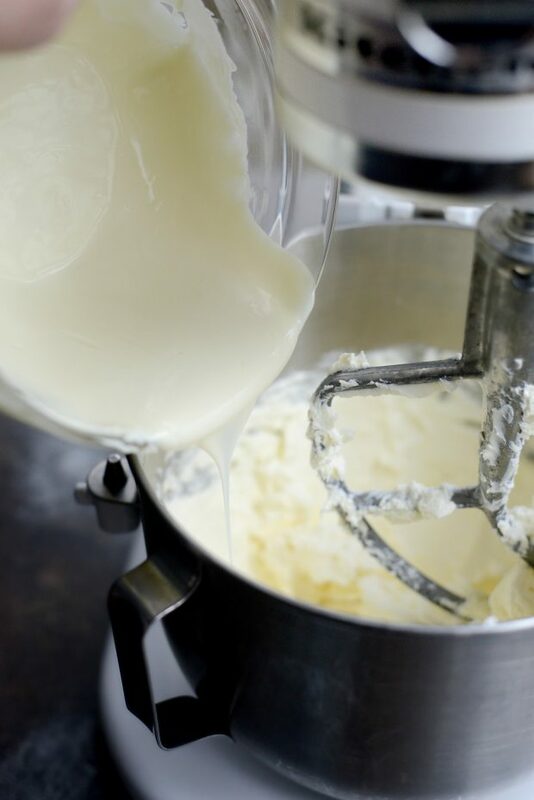 Meanwhile whip the butter and cream cheese until completely smooth. Then slowly pour in the melted white chocolate. 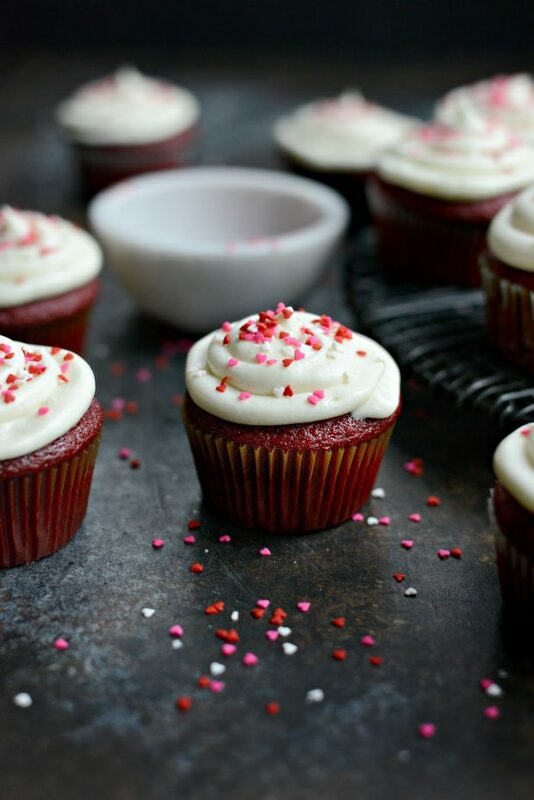 *If by chance the chocolate hardens and the frosting becomes lumpy, you can transfer the frosting to a microwave safe bowl and heat slowly, using the 10 second intervals-- like before-- whisking after each one until smooth. 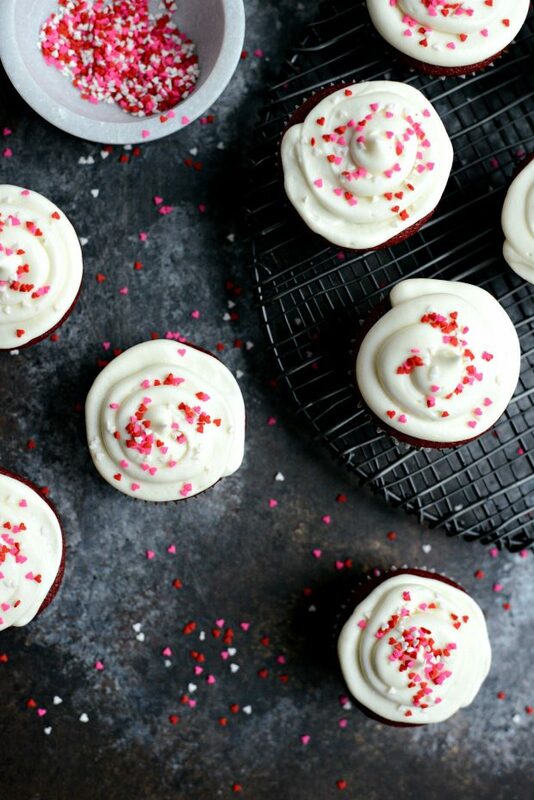 Pour into a piping bag and pipe onto the cupcakes. Then top with the sprinkles! My cupcakes turned out magnificent the icing taste wonderful. 6 cups of powdered sugar!?! isn’t that too much? Isn’t the chocolate sweet as well? ?